Q: I’m interested in a course. Who can I speak to for more information? Q: How do I register / enroll for a Training Course? Q: How can I get the Prepayment Discount ? A: Prepayment discount is set at 10% of the course fees (excl. VAT). You may state same in the registration form and pay within 5 calendar days BEFORE course commencement. In case you miss the deadline for any reason do contact our Client Service Department! A: Normally unless you select prepayment of the course (with additional discount) an invoice will be issued that is expected to be settled within 30 days, free of bank charges. You can pay by credit card, bank transfer or cheque. Please check with our Client Service Department for full details. A: A substitute participant is always welcome at no extra charge prior to the course commencement. Alternatively you may reschedule your course booking for a future course in line with the Course Calendar. Q: What is the Registration Process for an Open Seminar ? A: You are expected to arrive at the Training Venue (SQE Academy or other venue stated in your registration) within 10 – 30 minutes PRIOR course commencement. On your arrival you should follow the registration process and submit to the registration desk a color photo (passport size) to be printed on your Training Certificate. A : YES! We offer a 100% money-back guarantee. We’re so sure that our seminars offer the best Face to Face live training anywhere, for any price that if you’re dissatisfied for any reason simply say so at the end of the course and make sure that our Client Service Department is aware of your statement. No fees will be required , simple and clear! Q. Where is the location of the SQE Academy in Piraeus? A. Please use the map and driving instructions that have been or will be provided to you with the confirmation of your Training registration. Q. Do you offer WI FI access on the Training Facility ? A. Yes we do, you may request user name and password from the Registration desk. Q. What Kind of Access do I Have to the Instructors? A. You’ve got great access! Our instructors are available during breaks, lunch, and after the seminar to answer any questions you may have, or provide additional feedback. Q. What are the contents of the USB at the end of an open seminar ? Note that all certificates have a five (5) year validity. 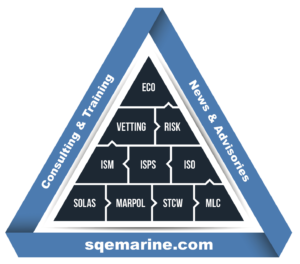 All PDFs in relation with the course, containing IMO, Industry, SAFETY4SEA or SQE Marine / SQE Academy resources such as checklists, guides etc. All our courses are available for on-site/in-house training. Q : Are there any prerequisites in order to arrange for an In House Training ? Client is expected to provide Training Facility properly equipped, administer and handle trainees accordingly. Q: What happens when my online course / Distance Learning course commences? A: You will be sent full access details to the course website and a course handbook / welcome pack on the day that your course is scheduled to start. Access to course materials prior to this date is not possible. Q: I’ve already enrolled on a distance learning course. Who can I speak to about my course? Q : In case I choose the PPT version of the material what am I supposed to get ? Normally in case you select the above option you will have ALL the necessary material to carry out the course yourself! 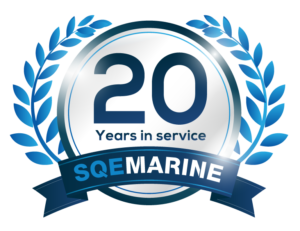 Q : Are SQE Academy Certificates Recognized ? A. 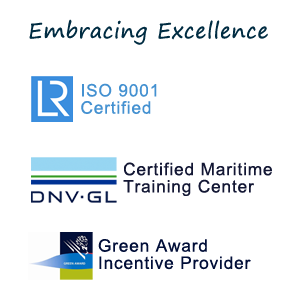 Our Certification Scheme is supported by a Quality Management System Certified to the highest standards globally, certified by DNV and LR. As a result our certificates are recognized globally. Q : What is the validity of an SQE Academy certificate ? A. Our Certificates have a five (5) year validity from the date of issue.